Originally, I was making Pikmin 3 to be launched on the Wii platform. Because the Wii U is capable of HD quality pictures, and will be accompanied by the subscreen on your hand. 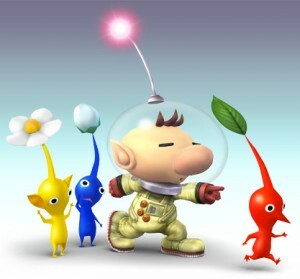 I thought that I would be able to make a Pikmin that was closer to my ideal. I am now actually enjoying myself, working on the game. It will be interesting to see how Miyamoto implements the Wii U’s controller in the new Pikmin game. Good to know! The more fun a project is the better it gets. I’m glad to hear he’s having fun with it! If a game is fun to make, then it’s sure to be fun to play! This game has the potential to be very awesome. When Miyamoto enjoys, we all win. as always, I LOVE YOU! !